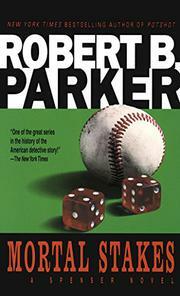 Spenser (like the poet) is just about the best new private investigator in town and this time he's hired to see whether Red Sox ballplayer Marty Rabb might be occasionally fixing a game because of some external pressures. The men who are twisting his throwing arm have a line on his wife's background--she'd once been a call girl and made a blue film. Parker tells a fresh, funny, direct and different story--it's as tough as they come and spiked with a touch of real class.